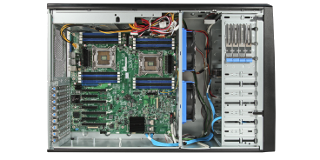 Designed for your most compute-intensive tasks AND extreme graphics performance, the ion P4 Workstation features dual Intel Xeon Scalable processors on the Intel S2600ST board. Delivering all of the performance features of the Intel Xeon Scalable processors, including Intel® Turbo Boost Technology, the P4 is the most exciting workstation ever with a full selection of graphics processors, disks and solid state drives (SSDs), and I/O connectivity! 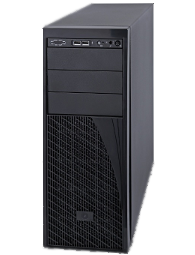 And with (3) PCI Express 3.0 x16 slots, you can design a workstation ready to tackle any challenge. 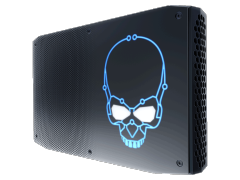 ion's miniWORKSTATION is based on Intel®'s NUC8 miniPC with 8th gen Core™ i7 processor, Radeon™ Graphics and mirrored NVMe SSDs. With support for up to SIX monitors, if you don't need a BIG box with a light show inside, the miniWORKSTATION might be just what you need. While some gamers will spend nearly limitless amounts on great new gaming systems, if you are looking for a good new gaming system or HTPC home theater PC, the miniWORKSTATION might be exactly the right fit. Send yourself a quotation along with requirements for monitors and additional peripherals and ion will respond promptly with an updated quotation.